I made bracelets to raise awareness of ALS. 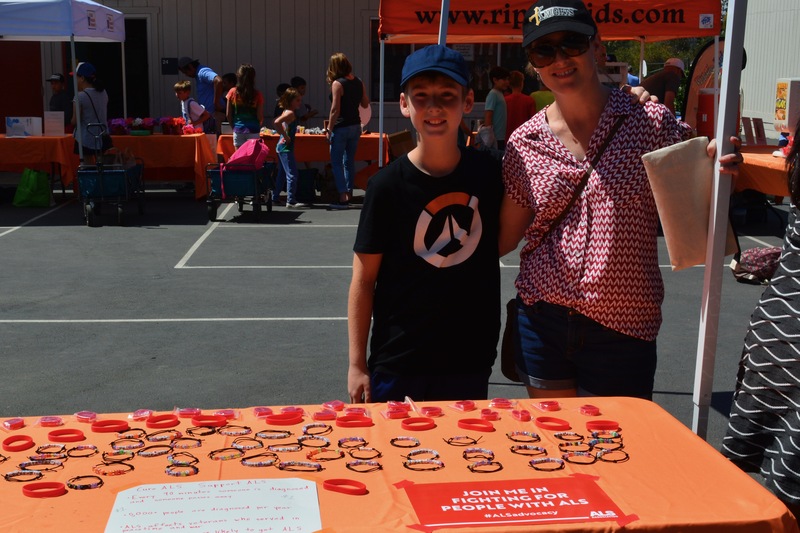 I sold them and gave out the ALS Associations red awareness wristband at a Ripple Kid Fair at my school. My uncle was sick and died from ALS. I wanted to do something for him and my family. I looked at bracelet ideas on the internet. I got my mom to get me the supplies I would need. I made, with my mom's help, the bracelets. I made a poster to go on my table at the fair. I sold them at the fair. I sold 15 bracelets, so I raised $15 for the ALS Association. I made a special bracelet for my aunt and that made her smile. I learned that by raising even a small amount of money, I can help.